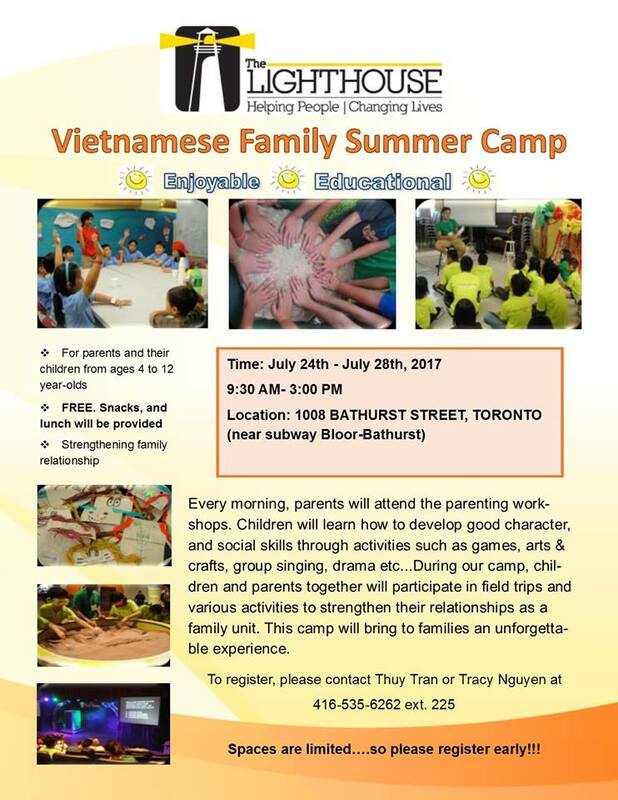 From July 24-28, The Lighthouse will be offering the Vietnamese Family Summer Camp for families. 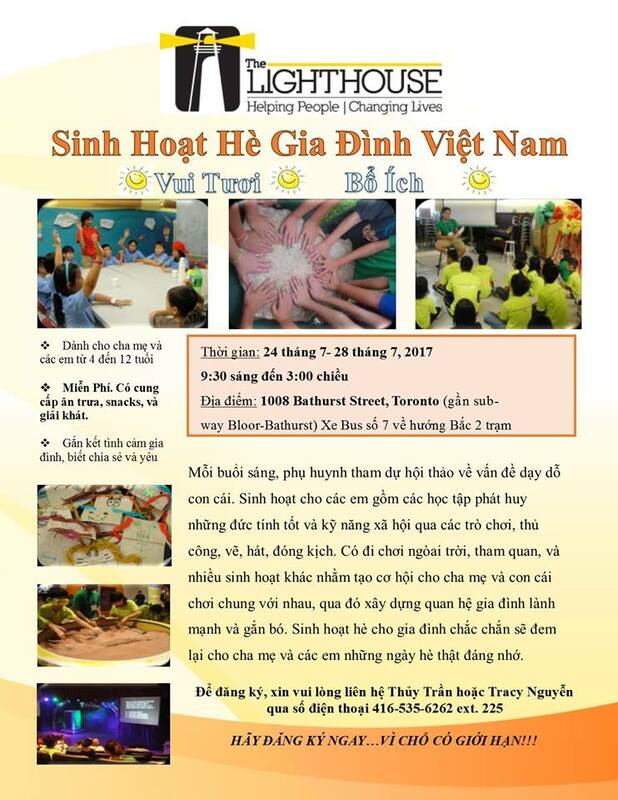 For one week, families learn and spend time together with friends and loved ones. There will be lessons, games, crafts, lunch and outings.